Last week was a real eye opener for me that made me reflect on my feelings about the fashion industry and my place in it. I got invited to cover The Femmy Awards and Gala, taking place at Cipriani 42nd St. 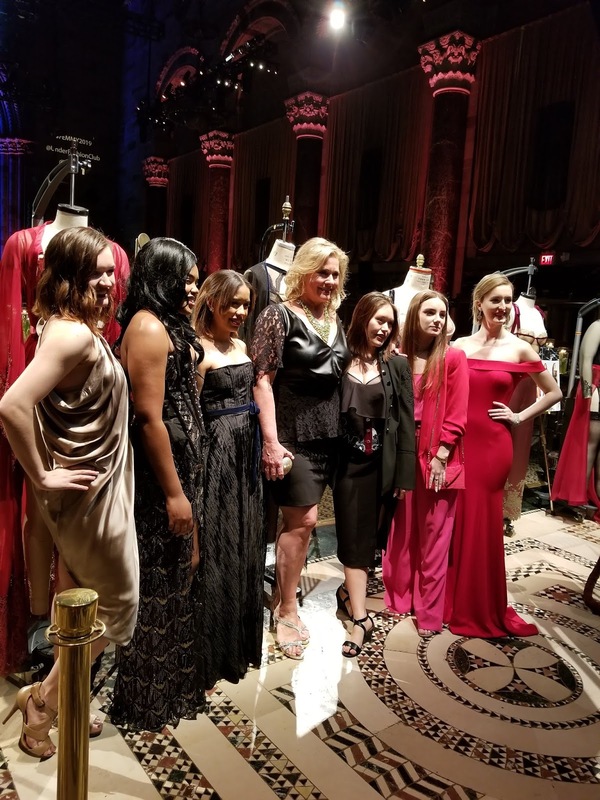 This event was sponsored by The Underfashion Club, a non-profit fashion industry group dedicated to "all facets of the intimate apparel industry: foundations, daywear, sleepwear, robes, and loungewear". 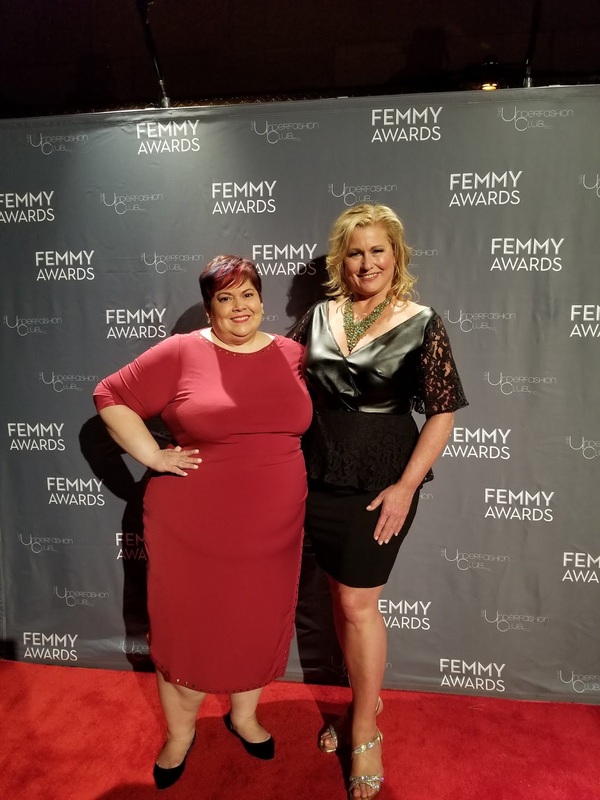 As someone who is considered media via my job at PLUS Model Magazine, I will admit I get some amazing opportunities to attend events like the Femmy Awards. So I decided to put on a red dress (from Catherines) that had been sitting in my closet for the last 6 weeks. I was sick with bronchitis for about 5 weeks so my 2019 actually started on 1/25. Wearing red is always something that gives me some extra uumph, which was needed for this night. 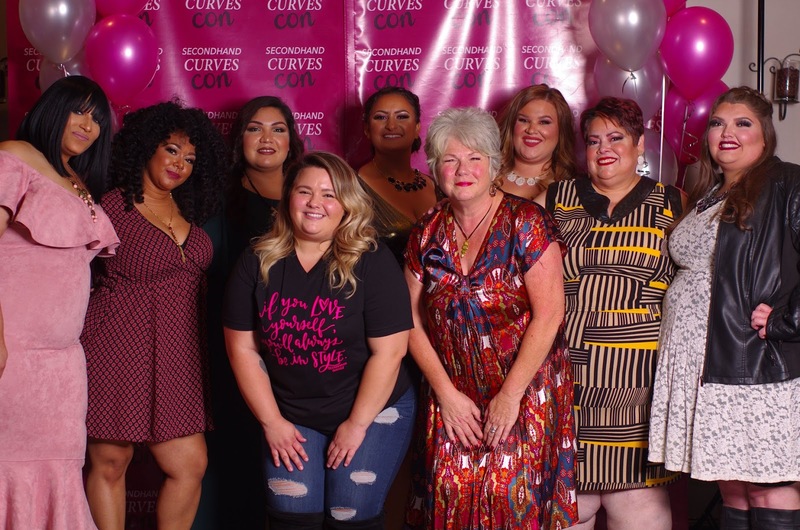 See, this was not a plus size event. 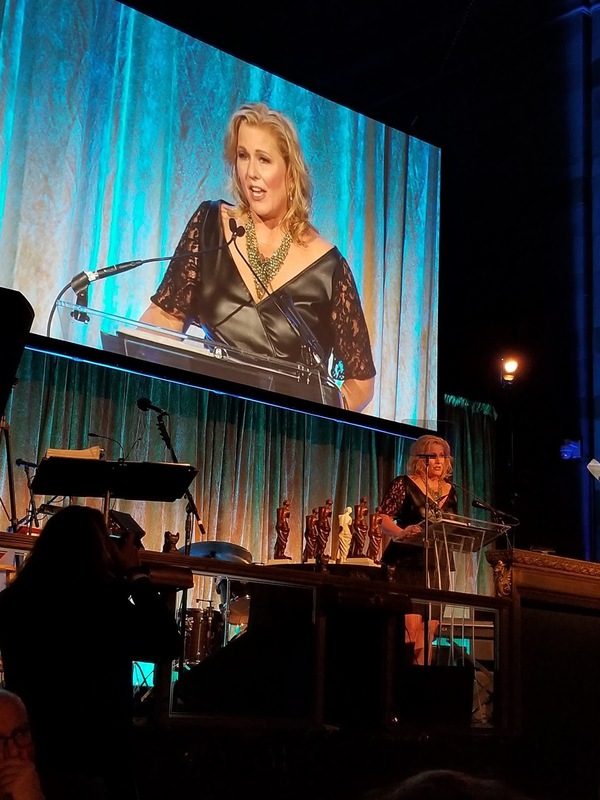 The theme of this year's awards and gala was body positivity and plus supermodel Emme was hosting (YES! ), BUT this was an event where there would be media and some heavy hitters from the Intimate Apparel industry. Folks from Kohl's, Dillard's and other major brands were in attendance. They were also having a design contest featuring six Fashion Institute of Technology students studying intimate apparel. 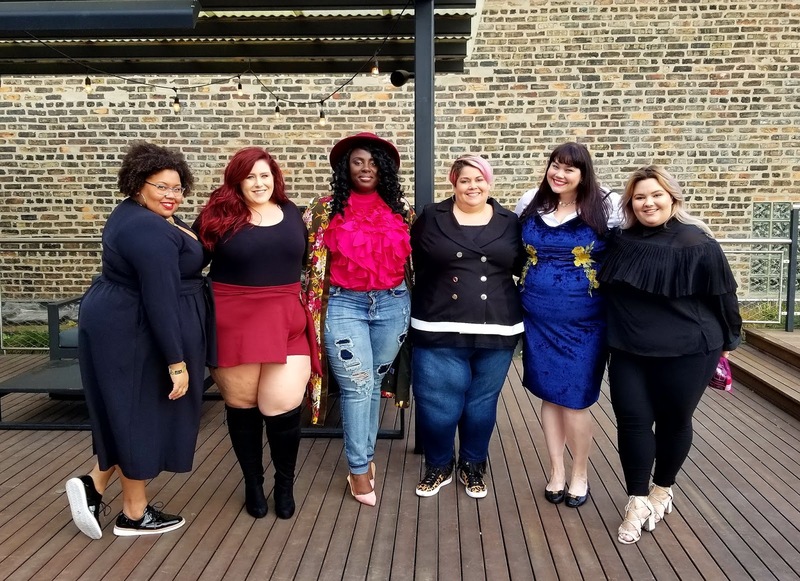 For the first time, students’ designs were on exhibit via mannequins from size 7 to size 2X, in keeping with the theme of “Body Positivity.” The three top finalists won $5,000 and an all-expense paid trip to Paris. 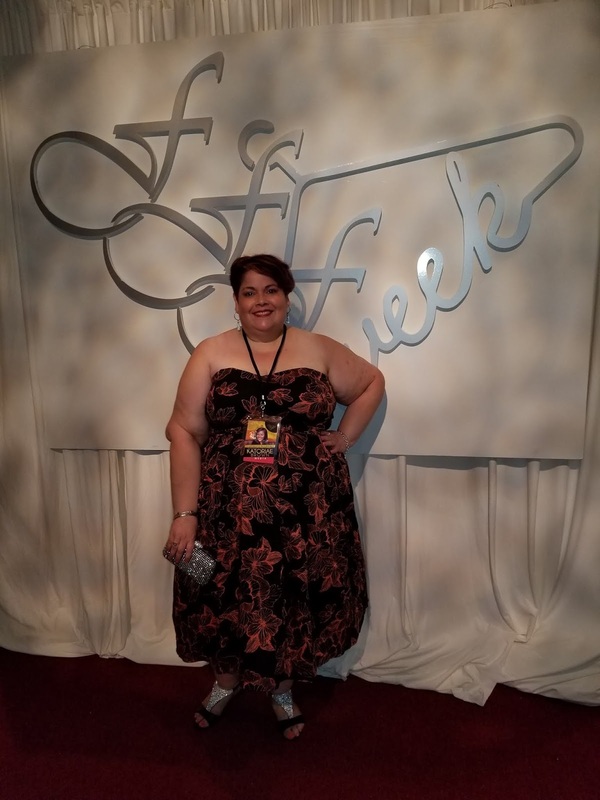 I was basically walking into a huge event, not knowing a soul and possibly being the biggest girl in the room. Of course, in Fearlessly Just Me fashion, I did just that. People stared and looked but not for the reasons I was used to. It was because I was wearing red in a sea of black and because people wondered who I was. I mean, I'm a gorgeous big girl wearing a body con red dress with short hair. And I'm walking up in there, like I own the place, lol. The Intimates Apparel industry is a tight-knit community too, I learned later that evening. And they accepted me with open arms, actually intrigued by the plus size industry and how they can bridge that gap between mainstream/straight size and plus sizes. Words cannot explain how included I felt and it had nothing to do with seeing someone else who looked like me. 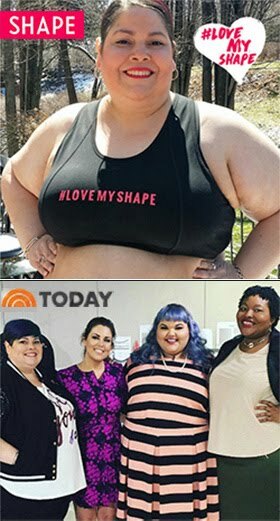 It had to do with being seen as more than a plus size woman. They saw me as someone who was their equal, someone in the media who came to the table confident, humble, professional and engaging. My size was actually an asset in this situation as they now had access to someone who was visibly plus, looked fabulous and proved that plus size women can be stylish too and know their stuff. People came up to me, introduced themselves, asked where my dress was from and just wanted to know about ME. I left that evening with a clutch full of business cards, including a few requests to be interviewed or featured on their website. As I walked out of Cipriani and to my waiting Uber, I skipped and danced a little, with a smile on my face. I feel like we are now experiencing a shift in the industry where plus sizes are becoming mainstream. 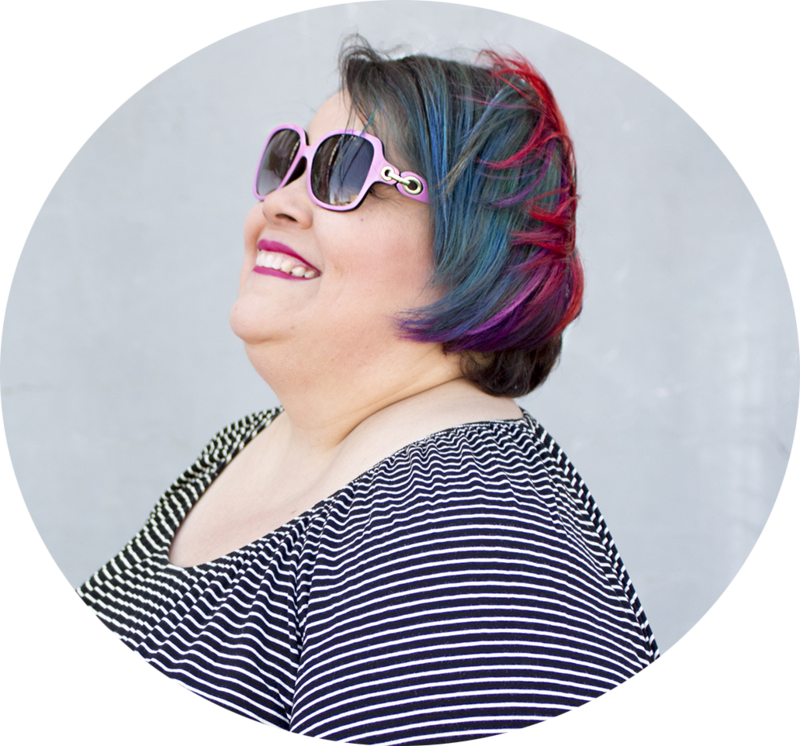 If you're a size 20 and under, you have become mainstream as almost all plus size brands and companies who expand on sizing, always offer up to a size 20. 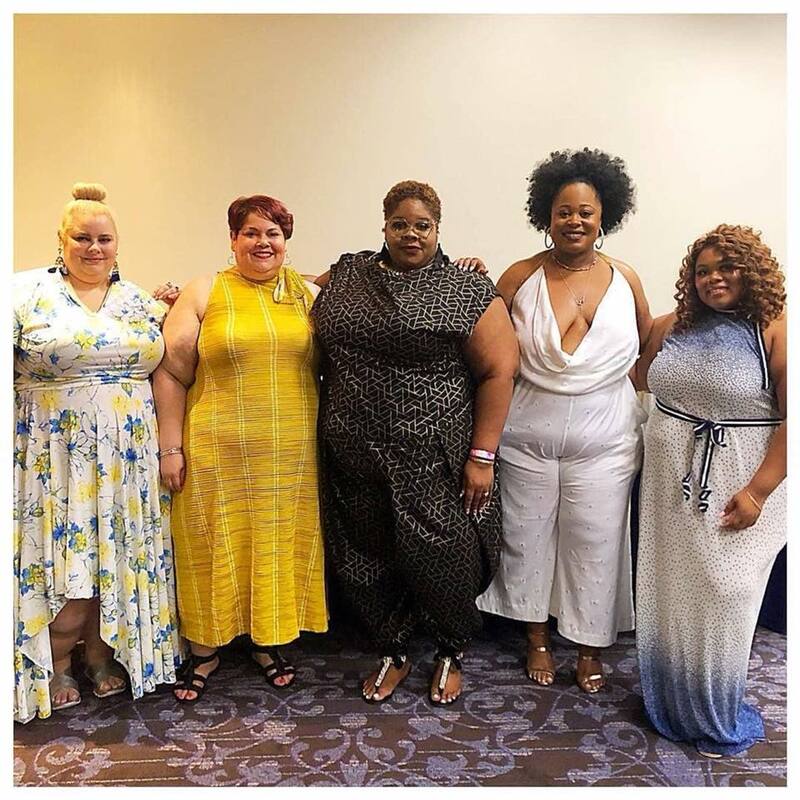 Those who offer above a size 24 are considered radical and really pushing boundaries in an industry where many brands think women above a size 20 don't shop or buy stylish clothing. Why should my size speak for how I should dress? Why should there be an immediate asumption that separates how women view style and fashion according to their size? As a size 26/28, I should not feel like I am outsized and not accepted by my own community and industry. But I do. I just want to be around women who get me. But I also want to be around people who are looking past my size and seeing who I am as a person and what I bring to this industry as I have a seat at the table. The use of the words "curvy" and "curve" have become the norm. And I feel like women like me have become lost in the shuffle. I can't shop everywhere I want and while the fashion industry is changing, when I am vocal about my struggles with shopping, women smaller than me try to challenge that by saying they experience the same issue. NO. I feel like I have to remind them that their situation is totally different than mine. If you're under a size 20, you can shop in mainstream stores like The Gap, NY & Company and countless others. I recognize that smaller women have their own fit issues but they have more options than I do when it comes to fashion. Most plus size brands stop at a size 3X and 24. So while I get excited when a brand expands their sizing into plus sizes, I can't help but feel a little deflated when I see they are still not carrying my size. Having empathy for other bodies is a part of being body positive. Admitting your own privilege instead of playing the victim is a sign of growth and truly being someone who believes that all bodies are beautiful. The Femmy Awards taught me some valuable lessons. It showed me that you don't have to be around people who look like you, to fit in. At the end of the day, I am more than a plus size woman and have much more to offer as a human being. 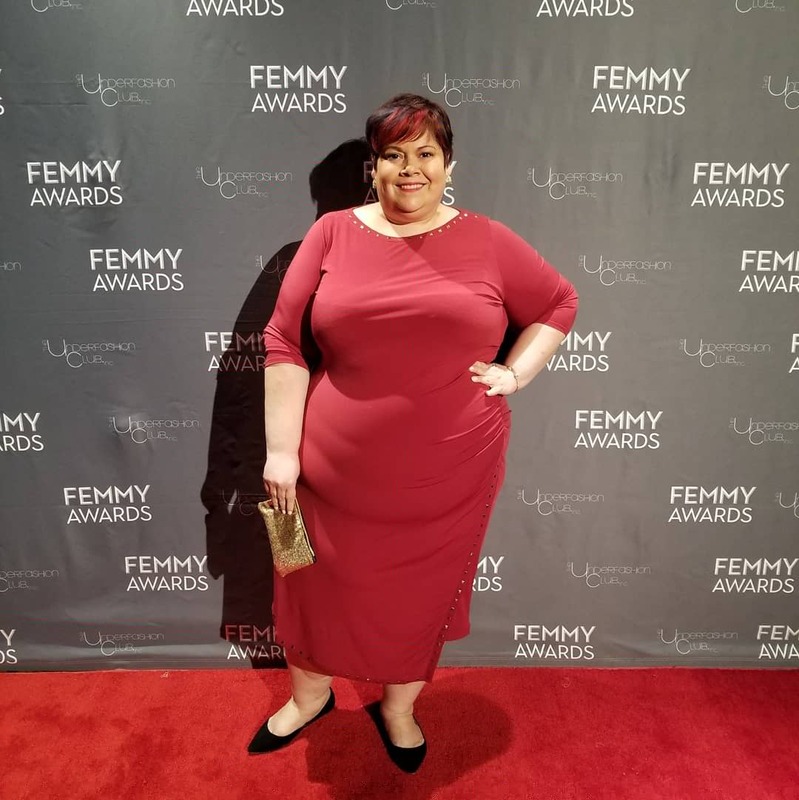 It also showed me that there are people out there who want to be educated more on the state of plus size fashion and that as a visibly plus size woman who does not have access to all plus size fashion, I have a strong voice that can help with that. 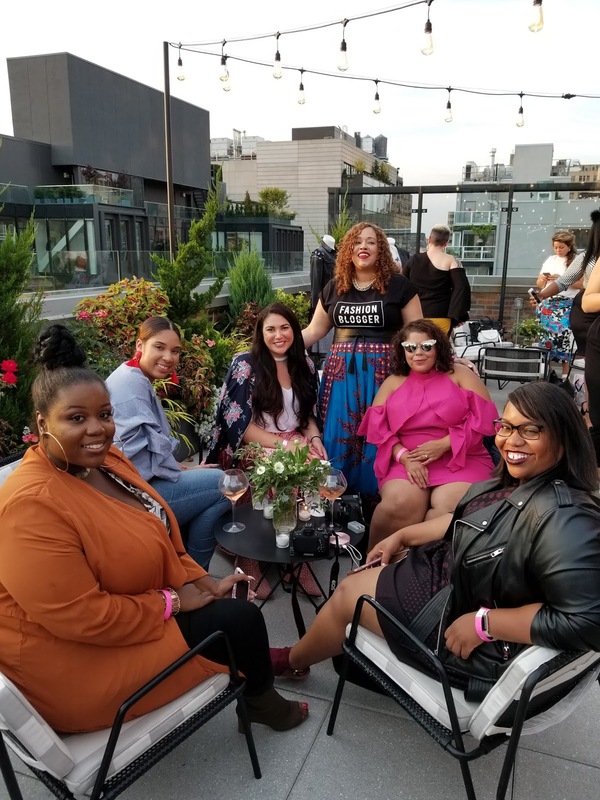 While I may encounter the "You can't sit with us" mentality at times, I want to focus more on where I do sit and use that opportunity to educate, engage and network. Not being able to sit at every table doesn't limit my worth in this world or stop the work I am doing. 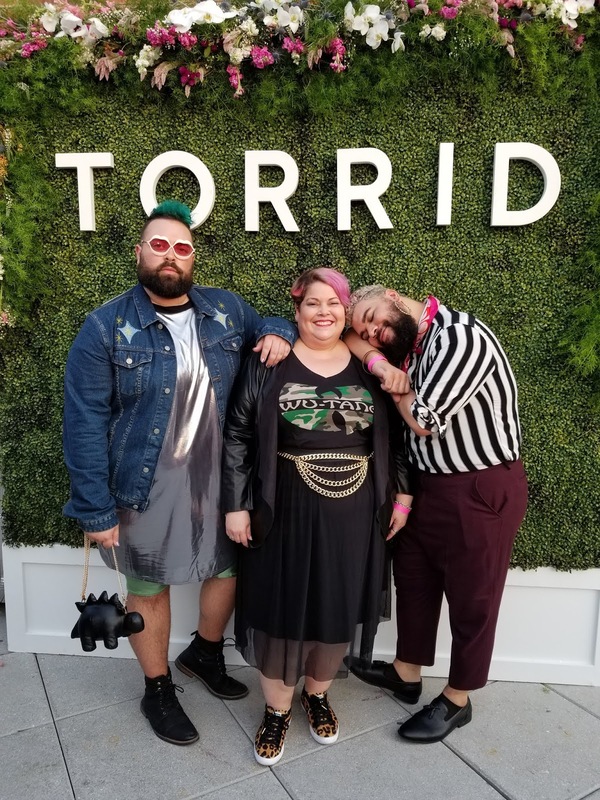 I'm more focused on inpiring the next generation of designers to embrace designing for ALL sizes and not just a range that excludes women who want to dress just like their thinner sisters. As I chatted with the six design student finalists from F.I.T., I had hope for the fashion industry in becoming more inclusive. They all spoke so passionately about wanting to design for plus sizes with many of them even offering to create a dress for me! I never thought I'd feel or experience this in my lifetime but I am! I'm excited to see what the generation of fashion holds for ALL women, especially those of us that are excluded at times from the plus size range AND the conversation. Let's support and educate the next generation of fashion.